Video Games Live is an immersive concert event featuring music from the most popular video games of all time played by a live symphony orchestra. Created and Produced by Tommy Tallarico. A veteran video game composer himself. Had the chance to revisit Video Games Live last Sunday, courtesy of Don. 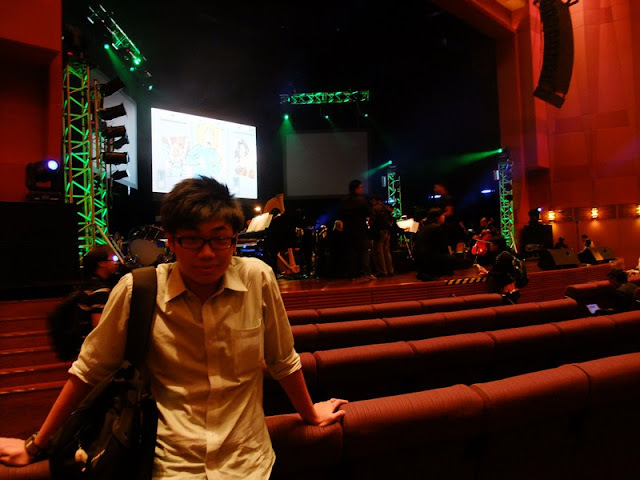 This time around, Video Games Live was held at Istana Budaya as opposed to Plenary Hall KLCC. Not a bad venue due to the free and ample parking. but the only downside was it's strict rules on dress codes and photography. Though it was largely ignored during the concert iself. Upon reaching the venue I spotted the Guitar Hero Audition. Which the top scorer gets a chance to perform on stage alongside Tommy Tallarico for 1 song. Which happens to be The Pretender by Foo Fighters this time around. Unfortunately I failed the song halfway thru. I blame it on the fat neck on the guitar as opposed to the Rock Band version guitar with a way slimmer neck for easier button presses. Circa 2010, didn't manage to get the top score as well. Somethings never change lol. Encik Firedauz. Who I met during the trolldays on lowyat.net. In the beginning he promised that each show would be different, I seem to doubt it as the same jokes and banters were used in the previous show. As for the music, there was changes but the popular ones remained. An awesome eletric-guitar-centric song played by Tommy Tallarico. This definitely set the tone for the night to come. Only the songs from the games and not the Pokemon Theme Song. But they did include the Team Rocket entrance at the end bit. An awesome piece which is new this time around, loved it. Uncharted II is one of my favorite games from the PS3, having a great storyline and cinematic experience. A song written by Norihiko himself, Snake Eater appeared in the game MGS : Snake Eater and appeared in the game's opening. Snake Eater's vocal distinctly sounds like it was pulled from "James Bond" song, the song starts off on a serious tone with accompanying timpani and saxophone but in a sudden it turns Jazzy and the vocal drops in. Definitely a memorable one from the MGS series. I literally laughed out loud during the introduction of this song, as the music was composed by Tommy Tallarico and one of his earlier works, which consisted of bleep and bloops of the 8 bit Nintendo era. Which I didn't in a million years would expect VGL to play this. The classic Tetris theme vocalized in Opera style by Laura. One of the more memorable songs from Final Fantasy 8, Liberi Fatali appeared during the first cutscene of the game. Which had Squall Leonhart and Seifer Almassy battling it out and a foresight on how the story will play out later on. A scene that has forever been etched in my memory due to the failing disk reader my Playstation One had, I had to sit thru the scene for almost three hours as the would cinematics freeze up in different places everytime and I had to reboot the game. There was no accompanying visuals during this piece but I needed no visuals as I could recall and visualize every sequence during the song from the timing of the Gunblades clashing with each other to the expression of each characters. Didn't really enjoy this piece, as this was a solo piece played on the flute, would have preferred it if was played by the entire orchestral. Tommy Tallarico played the Electric guitar on this one but with vocals pre-recorded along with the Guitar Hero audition winner. I much preferred the one they had last time. Jump by Van Halen. A song which had more energy in it. Definitely one of my favorite and most memorable song from the Street Fighter franchise. The whole light-hearted nature of the song proved to be catchy in the heart of all who played it and foreshadow's sequal. Portal 2. Is Video Games Live worth going to? Yes, and if you're a gamer, do show your support. Naysayers that say Videogames isn't an art. Go watch VGL and tell me otherwise. Is it better than the last one? Well that depends mostly on your preferences to which gaming franchises you usually play. There were some games that I didn't play and hence didn't like the soundtrack being played during. But my opinion is that the previous one had me more pumped up and screaming more than this one. There wasn't a megaman medley :( Something which I have been looking forward to. P.S. 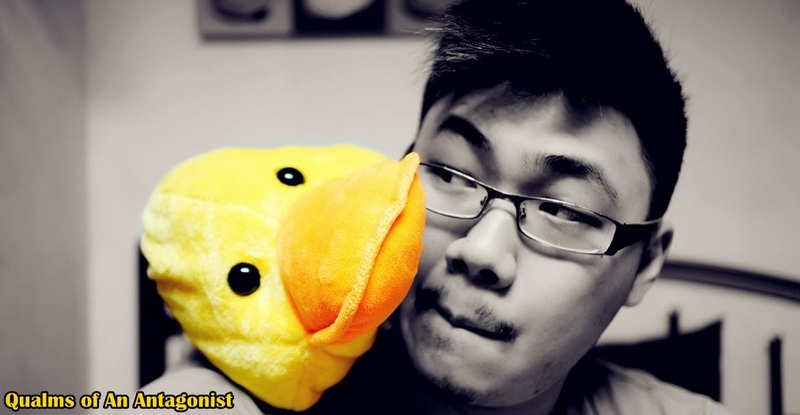 3 years back I wrote an post on the top 10 most memorable game themes on my blog, you can see it here : http://www.duckalot.com/2009/03/top-10-most-memorable-game-themes.html am happy that 4 out of 10 songs were played during VGL. To be honest, I found VGL quite disappointing. I'm a music lover and theatre goer first, gamer second. While the show was entertaining, it's just entertainment. If you're going as a music lover, you'll realise it was presentation first, music second. The symphonic band played well, but there wasn't heart to it. Believe me, it would be an entirely different experience if they actually brought the entire orchestra with them. The pieces were too short and disconnected to each other. About the only ones that I genuinely enjoyed were the Uncharted, Mass Effect and Chrono Trigger medley because there was actually some build up and rhythm flowing instead of just bombastic pieces. What do I mean about the show being disconnected? For example, the Halo medley starts with you hearing the opening riffs of the Halo 2 main theme, then moving on to a bit of the Halo 3 theme. Basically, it's just playing the crowd-pleasing parts instead of playing the entire theme (which is not very long anyway). It's like going to a rock concert comprised mostly of the choruses of the biggest hits. Between songs, you hear the rock star talk, and there's videos at the back, but where's the real music?. That's what VGL felt like to me. Laura Intravia's vocal and flute performances were good, but the arrangement kinda made it feel like she was singing in bits and pieces throughout except during Still Alive and the song for WOW. The Assassin's Creed 2 bit really showed off her vocal range, but after that there really wasn't anything that showcased her so well (that Tetris song was more entertaining than memorable IMO). Then again, I'd probably have enjoyed the show more if I didn't have lights flashing right to my eyes. The upper terrace seats were terrible, the sound projection was off too. And sitting right next to a fanboy who was shouting and clapping at everything LOUDLY only made the experience more irritating. I don't regret my ticket purchase, but I doubt I'd go again if the set list is going to be more about playing some cool themes to please the fanboys instead of an actual musical experience. With that being said, the second half of the show was better, with Liberi Fatali, the Mass Effect themes, Chrono Trigger and ending with Still Alive was a nice touch.